An all-you-care-to-eat venue with a rotating menu. Open seven days a week through mid-August. Closed mid-August through early September. Will reopen for dinner in early September (specific dates coming soon). A venue serving coffee, pastries, smoothies, soup, salad, sandwiches and more. Open seven days a week. All summer residential meal plans operate on a flexible point system loaded weekly onto your UO ID card and can be used at summer dining venues. Deluxe: 80 points per week. This plan is for students who seldom skip a meal and are typically on campus over the weekend. Standard: 65 points per week. This plan is perfect for students who might skip breakfast or be off campus on weekends. 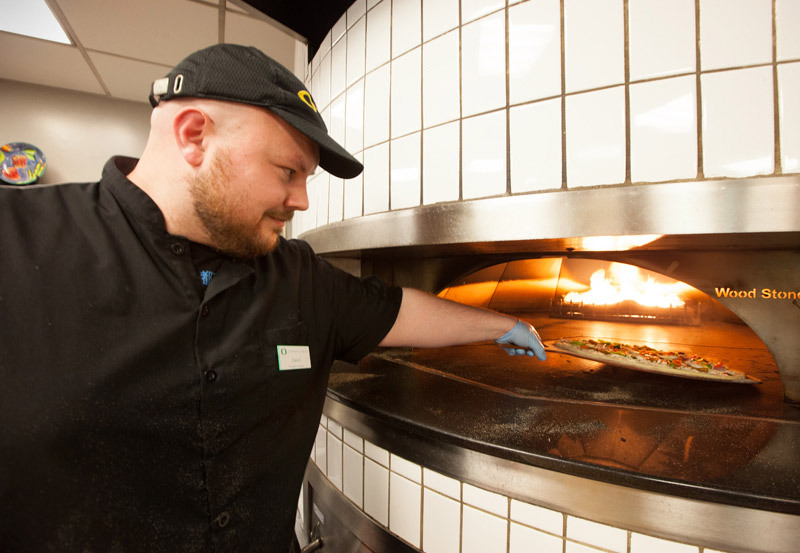 Residents may add, change or cancel meal plans by updating their meal plan on My Housing. Changes to meal plans will be effective the following Sunday. Meal points are reset each Sunday and end the following Saturday. Unused meal points do not roll over to the next week and any unused meal points will be forfeited. 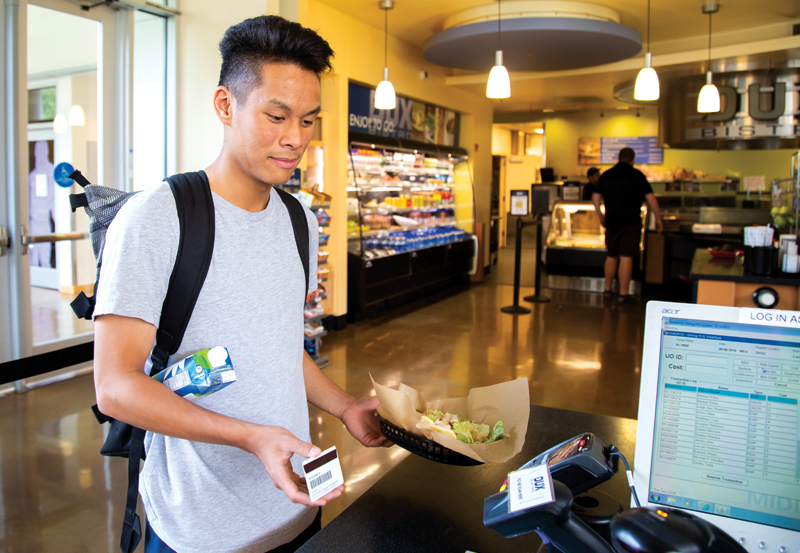 Meal points are prorated during the weeks of check-in and check-out. Meal plans are automatically cancelled upon check-out. Summer meal plans do not include Duck Bucks. Residents may purchase additional meals using cash, debit cards, credit cards, and Duck Bucks. Not interested in a full weekly meal plan? 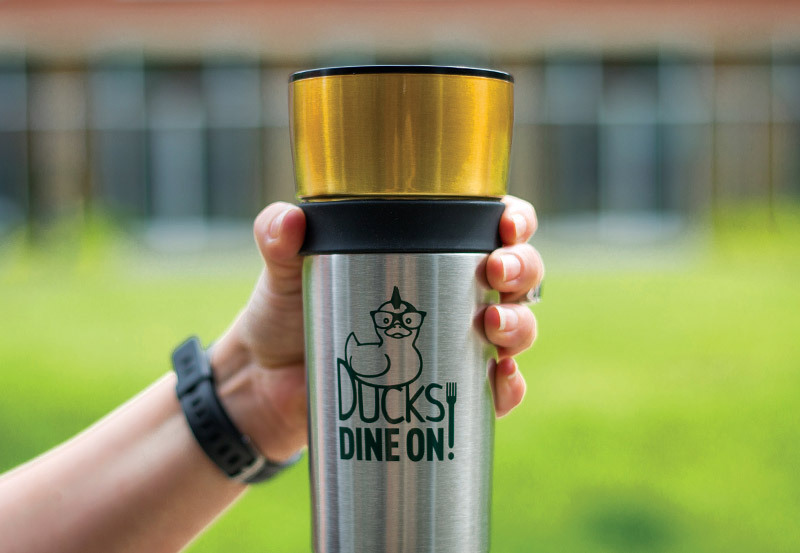 Ducks Dine On offers UO faculty and staff members and students living off campus convenient, reduced-cost dining options at any of our UO dining locations.